It seems that I am doing well with sweep-netting Alder's at the moment. 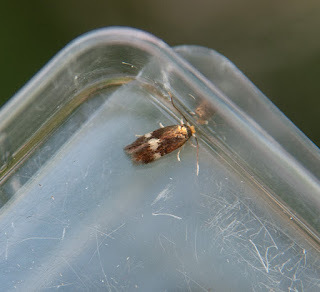 Found on the same tree as yesterday's Stathmopoda pedella at Wofferwood Common. ID confirmed by Erik van Nieukerken. 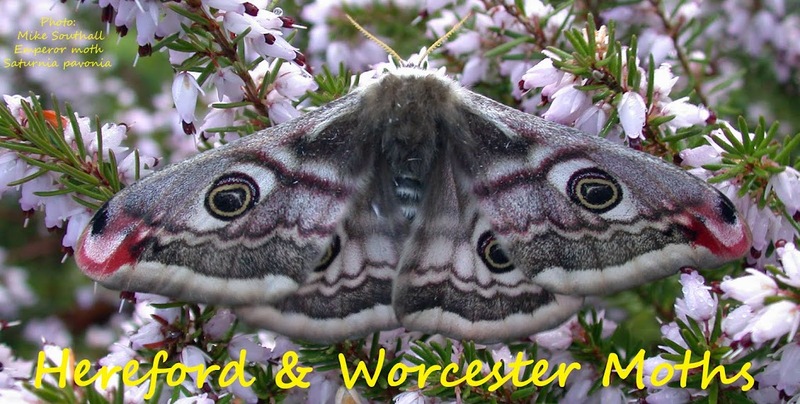 There are 3 records featured in "The Smaller moths of Herefordshire and Worcestershire". Dated 1892 then 1984 and 1985. So this looks like the 4th county record, with a gap of around 32 years in between. Well done Aaron.